Spilled dye on concrete creates a clean-up challenge. 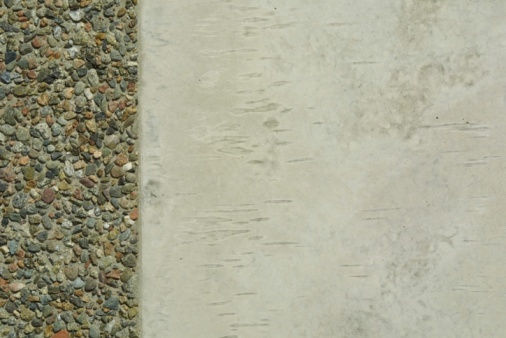 The coarse and porous surface of concrete is difficult to scrub, while dye by its very design is tenacious and resistant to fading. The solution involves a combination of mineral spirits and spraying the concrete surface with a power washer. If you are removing dye from a concrete patio, consider moving all furniture, decorative plants and other items to clean the entire patio. In removing the dye, the mineral spirits also remove accumulated grime to lighten that area of the concrete. 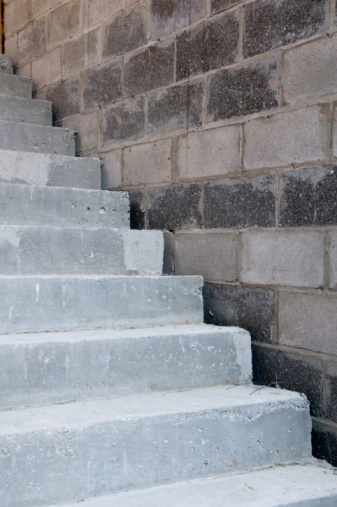 A power washer helps remove dye from concrete steps and other surfaces. Pour mineral spirits directly onto the concrete as close as possible to the surface to minimize splashing that could damage your clothes and surrounding surfaces. Arrange gauze or cotton balls over the stained area to help absorb the dye. 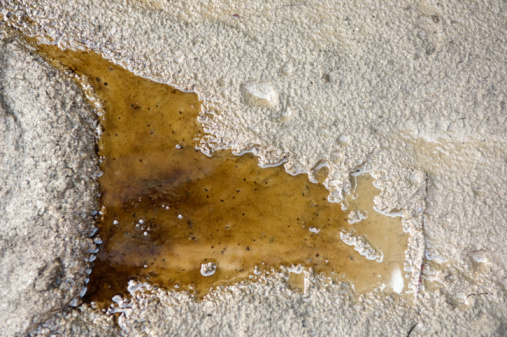 Spread a plastic sheet such as an unfolded garbage bag over the treated stain. Secure the corners of the bag with duct tape. Let the mineral spirits work on the concrete overnight. Remove the plastic and the gauze or cotton underneath. Turn on the power washer while wearing work gloves and protective eye goggles. Blast the remaining dye stains with the power washer, guiding the water and mineral spirits off the surface of the concrete. James Clark began his career in 1985. He has written about electronics, appliance repair and outdoor topics for a variety of publications and websites. He has more than four years of experience in appliance and electrical repairs. Clark holds a bachelor's degree in political science.